It took me the longest time to decide whether to go for this talk by Phillip Hoare because it wasn’t a free talk; I’d have to pay for a ticket. My practical side argued one way and my more whimsical side argued another. Practicality: It’s just a talk about whales. Whimsy: But… it’s a talk about whales. Glad I went though! It was really interesting. Part refresher course, and part eye-opener. * Edit, Saturday 10/4: Adding a few points I forgot yesterday night. 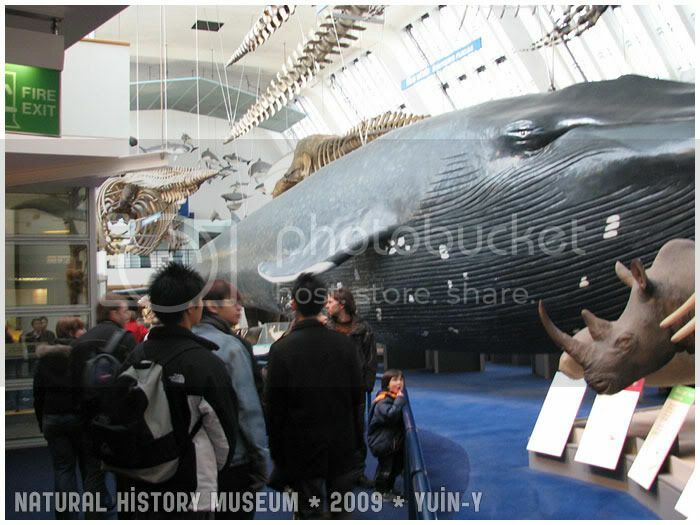 * He mentioned the whale model at the Natural History Museum and told a little bit of the history of that section – it started off as a cetacean display (meaning only whales, dolphins and porpoises), was planned in the 1920s and finished in the 1930s. The curators wanted to commission a lifesize model of a blue whale and their initial idea was to have a Norwegian (I think?) whaling ship harpoon a blue whale, hang it up by its tail and take a plaster cast of it. Stop and think now. Blue whales – largest living animal on Earth (and I seem to remember reading somewhere that it’s even larger than the largest dinosaur), grows up to 30m and weighs nearly 200 tonnes. How are you going to “hang it up by its tail and take a plaster cast of it”?? LOL. In the end the taxidermist went on a trip aboard whaling vessels, took measurements of a blue whale they harpooned, and with those measurements built the full-scale model in the NHM today. But it’s not even a “correct” model. Or rather, it’s an accurate model of a blue whale that’s been harpooned and dragged up from the ocean. It’s not an accurate model of a living blue whale in the ocean. Once dead, the body starts filling up with gases so the measurements that the taxidermist got were bloated measurements. Basically, the NHM’s model is the fattened version of a blue whale. But of course, back then in the ’20s and ’30s, people didn’t know that. * There are only 350 North Atlantic right whales left today. But it’s really awful to think they might go the same way as the Yangtze River dolphin. D: I remember being really so sad when they officially declared the Yangtze dolphin extinct in 2007. * Some people wonder about how whale-watching activities might influence the behaviour of humpback whales. Humpback whales breach a lot, so they make for good whale-watching. No one really knows why whales breach as much as they do. Communication? Maybe. Mating? Maybe, but they do it when it isn’t mating season too. So, probably not so likely. Or for fun? Well, I like to think so! Anyway, you know how if you go whale-watching (or dolphin-watching), the tour guide will be giving a sort of commentary/narration on the boat? (Here, have a Youtube link to someone’s vid from a whale-watching experience – you can hear the guide’s commentary quite clearly after the first few seconds. That’s what I mean.) Those commentaries are loud. They have to be, to be heard over the wind and waves and people-chatter. And since whales can be individually identified – humpbacks are particularly easy to identify by fluke markings and patterns – they usually have names. (Gender-neutral names, mostly, says Mr Hoare, because it’s pretty hard to figure out which is male and which is female unless you get a good look at the genital parts or unless it shows up with a calf in tow. 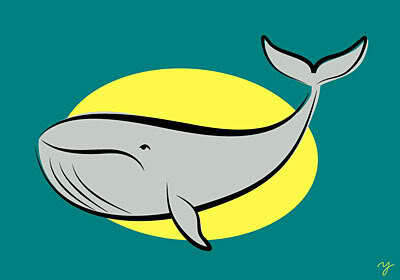 hahah) So a naturalist friend of his said that, well, dogs can recognise their names when called, so why not whales? If you have boats that go out six times a day and have the names repeated over and over and blasted over the loudspeakers for all to hear, can’t the whales then begin to associate the names with themselves? That was a really interesting point. I’d never thought of that before. It sounds possible to me. I think they’re smart enough to do that. And if any of them have a particularly show-off attitude, then they’d breach all the more whenever the boats appeared. ahah. * Mr Hoare told us about his encounter with sperm whales when he was with a BBC crew trying to film a documentary: he misjudged the visibility underwater – it looked super clear from above, but underwater visibility was actually about 20feet. By the time he realised this, he was within 20ft of a pod of sperm whales. Then one of them – in hindsight, it was the matriarch, he said – detached itself from the pod and started coming straight towards him, and pretty quickly too. Whales have practically no frontal vision (totally understandable, given the size and position of their eyes in relation to their body), so he thought that it was either going to swim right into him (I don’t think that would have been a nice experience at all, sperm whales being about 20m long…) or it was going to open its mouth and swallow him – not a great way to go. 8D But then it stopped. And he said he could feel the echolocation clicks. It was like an MRI scan, he said. Started from the top of his head all the way down to his toes (flippers?). The whale was checking him out! hahah! Then, having completed its 3D image of him in its brain, the whale turned and looked at him – as if to complete the picture. (I suppose if a whale thought in 3D modelling terms, it’d be thinking: Right, now I’ve got the mesh set up. Now I just need the texture…) He said that he “saw sentience” in its eye. I rather believe it. Have you seen whale’s eyes? I remember seeing a few shots in documentaries and such, and I’m inclined to agree with him. Like dolphins, they look intelligent. Sentient. I just thought: That is SOOOOOO cool! A little scary, no doubt, but SO COOL. Cooler than even making movies, I think. Nowadays anyone can make their own movie. But how many people get to swim with whales? (Trainers swimming with killer whales in captivity don’t count. And killer whales aren’t really whales either – they’re of the dolphin family.) And how many actually get “echolocated” by a whale?? Tooootally cool.